Dance Vitality: Award-Winning Ballroom Dance! – Private Lessons, Wedding Dance Routines, All Ages & Levels! WELCOME TO CANADA'S #1 BALLROOM DANCING STUDIOS! Canada's Leading Ballroom Dancing Studio & Host to Award Winning Professional Dancers. From Private Lessons to Social Dance Parties & Events, to customized Wedding Dance Programs, we are proud to be raising the standards of your dance coaching! Try a class today and discover why we are number 1! 3X Canadian Professional American Smooth Champion and 15+ Years of Experience Teaching Ballroom Internationally. Started dancing at age 7 at Harmony Dance Studio in the Ukraine. 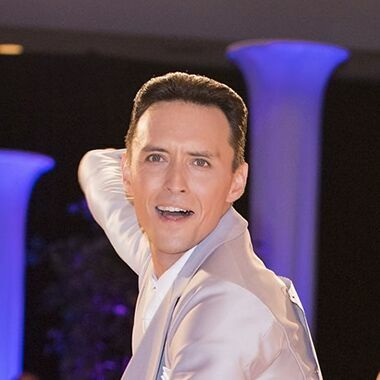 Originally from Tomsk Russia, Dmitry was born into a family of Ballroom and Latin dance professionals, who became Siberian and Ukrainian Ballroom Champions. He started dancing at the age of 6 and has been a choreographer, teacher and competitor for 15+ years.